Elon Musk is quite a curious and peculiar individual. The man has 120-hour work weeks and sleeps in his factories for days at a time, and he has also been seen insulting an analyst during a Tesla earnings call. Musk also appeared on Joe Rogan’s podcast, discussed his companies and smoked a blunt, and has been accusing the British diver, Vernon Unsworth, who helped save 12 members of a junior Thai soccer team trapped in a cave, of pedophilia; the investor and business magnate is constantly stirring up a storm. Yet there is one thing that is the most peculiar of them all: his Twitter account. The utilization of Twitter by CEOs of major corporations is usually very limited; their posts and tweets are low in frequency and presence, yet high in rectitude. The Twitter account of Jeff Bezos, founder, and CEO of Amazon is a prime example of this, with his postings consisting of the political support, history, and news concerning Amazon. Send me ur dankest memes!! Twitter is Dark Souls of social media. Reddit is Bloodborne. Insta is Zelda. I remember when I was a sponge. Simpler times they were. We didn’t even have kids back then. Just little sponges. Social media plays a major role in everyone’s lives; in the year 2005, only 5 percent of Americans used a form of social media, but that figure increased to 69 percent by the year 2011. Thus, by posting memes and bizarre Tweets in general, Musk is marketing himself and his companies to the individuals who are entranced by “meme culture.” He is marketing especially towards Generation Z, who are young adults and teenagers born between the mid-1990s to mid-2000s. Of people who are between the ages of 18 and 29, 88 percent of them use social media; these forms of social media include, but are certainly not limited to, Twitter, Instagram, Facebook, Tumblr, LinkedIn, and Snapchat. These individuals utilize social media differently than past generations, spending much more time on it than any other generation and by using it mainly for entertainment, rather than connecting with friends. Vibrant pictures and videos garner the attention of these young people, especially memes, with nearly every teenager today being absolutely absorbed by and addicted to memes. This addiction was confirmed back in 2016 when Google Trends discovered that “memes” surpassed “Jesus” in the number of searches on Google platforms. That’s right, the central figure of the largest religion in the entirety of this Earth, with 2.4 billion religious followers, was deemed less searchable than funny and absurd images on the Internet by the tech junkies of the world. Thus, by marketing his Twitter toward this “meme culture,” Musk is also gaining the attention of these young people, allowing his companies to create a customer base which will last for years to come. His absurd tweets begging for memes and discussing the Precambrian era aren’t instances of insanity as suggested by his stockholders and major figures in politics and media, but are a strategic plan to further the longevity of his businesses: Tesla, SpaceX, SolarCity, and the plethora of other ventures that the billionaire has started. We libertarian youngsters have never heard the end of it from parents and grandparents regarding our views. Of course, this does not apply to all of them, as each individual has a different mind. However, there are clear attitudes that majorities of generations hold. 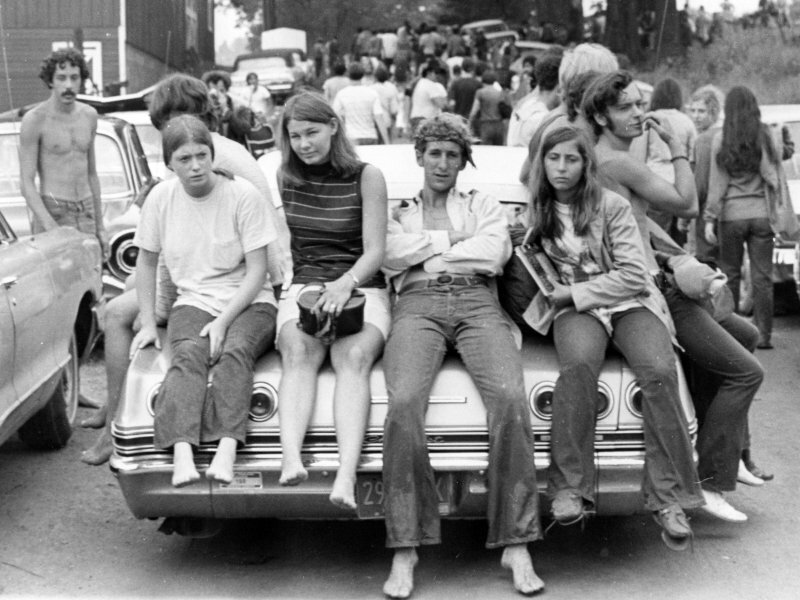 After ranting over police misconduct and tax law, it becomes apparent that many Boomers (which, for the sake of brevity, will be the term for those belonging to the group born between 1945 and 1965 affected by a dogmatic world-view) are not interested in changing their mind. At least, they won’t allow those younger than them to do so, the stereotype suggests. Our well-articulated arguments on the rights of man pales in comparison to the ‘superior’ experience Boomers hold. Simply nothing can refute a Boomer’s anecdote. The police system cannot be corrupt because I wasn’t beaten after being pulled over for speeding. I complied… and dutifully paid $300 for going 10 over! We have to pay the government our taxes, because who else will build the roads? Sure, there may be some embellishment in the rhetoric, but many Boomers have uttered words quite similar to these. We lack the worldly experience that would otherwise immediately credit the Boomer. Thus, our words, no matter how well thought out, are worth nothing to many of them. We must concede that experience is a valuable asset in the quest to find truth and reasoning. But, what the Boomer gets wrong is the sheer fact that right and wrong are constant and objective, and no amount of experience can change that to fit the Boomer’s mindset. Sure, the Boomer may be right, as we can, too. The longer life the Boomer has lived, though, is not sufficient evidence to determine what is right. With age comes experience, but experience does not inherently bring reason. Even the same experience can breed different interpretations. Once we look at Boomer influence in government, their argument of experience really begins to sound like a broken record. The most intriguing aspect of the Boomer’s mindset is their hypocrisy. They would be justified in criticizing our generation, if their own had not utterly poisoned the economy, as well as our liberties. Boomers seem to rarely criticize their coevals in office. Yet, they are the ones that destroyed the housing and education markets, gave newborns an inheritance of debt, bred the largest Ponzi scheme ever seen, and slaughtered the Bill of Rights. Clearly, we must ask: what justification do Boomers have to blindly mock the new ideas of the youth? Only those lost in dogmatism would avoid the debate for reason with young minds. With the evolution of the economy in regards to the modern world, technology and industrial revolutions have boosted the West to places never conceived before. However, some trades or chains of commerce have longer lifespans than others. It’s 2018, and the world is much different than it used to be, when older companies and out-of-date phenomena took the lead. Nowadays, both the millennials and generation Z go to college more than any other generations, reducing the degree’s value. But with the automation of many jobs that once ruled certain regions of America, many jobs have been left for ransom. A good amount of them are imperative to a great society, but another portion aren’t worth saving. It’s no surprise that the need for physical copies of items such as entertainment, breaking news, and memories are diminishing, This prompts the rise of digital assets, like the Cloud, or web pages like Netflix, or news sites (like yours truly, 71 Republic). This feeling of having on hand wherever you go everything you need, whether it may be a picture of your kids, a brash statement Trump said on this particular day, or even just an episode of Parks and Rec, is something that caters to the, for lack of better term, privileged young ones in our country. Information, without a doubt, is more available now than ever before. This is prompting new research and passion in kids never before seen, so this industry is not one that certainly needs to be revitalized. The free market has found a solution to not exactly a problem, but rather an inefficient way of doing things. Who are we to mess with a more eco-friendly and productive result? Those in trade school often get a high paying job, little to no student loan debt, and an employment rate near those with a college degree. With the population steadily rising, there is more labor to do: construction sites to finish, airplanes to build, pipes to fit, and so on. These careers aren’t as appealing as traveling the world, working from home, and staying clean on the job. Thus, fewer people are attending trade schools. That still does not change the demand for the tasks, and this has led to a crisis that will plague our country for the years to come. These aren’t especially easy duties to fulfill, so they take a lot of researching and practice to gain the skills learned in trade school. This doesn’t come with ease for most, meaning there is some sacrifice needed from students in the younger generations. Giving up the tradition of 4-year undergrad school is a safe bet, and going for the far less expensive, and more immediately filling vocation. This sector of the economy is currently in a downward spiral, and it is up to the next generation to fix this. Unlike a vocation-type occupation, manufacturing-division jobs have been slowly diminishing without a cost to the American lifestyle. With fewer tariffs, our marketplace has grown internationally, to the point where we can reach out to a company thousands of miles away. They can make a product better, for less. Then, they get it to a customer’s door with few hiccups in the process. While this seems extremely ordinary for us, it would’ve been rightfully peculiar to a Rust Belt worker in the early 20th Century, when that region was running up the numbers regarding productivity. Even with the manufacturing still in the United States, yield of product has risen regularly. Employment, however, has hit an all time low with places of work such as textiles, electrical equipment and overall hardware (source). This is a time to step back and realize how far we have come with globalization. Rather than mourn the loss of jobs in one zone of the economy, in one region of our country, this should be a celebration of the evolution of our market to one that frees us up to do much more. A recent Oxford study showed that in the near future, “about 47 percent of total US employment [is] at risk” to computerization. As a result, many are shifting their ideas for a career path to one that automation cannot do. Most of these are service based jobs, but still attractive. More attractive, most would say, than driving a truck around the country on deliveries. Driving a semi on the highway instead of settling down with an office, or anything of that sort, is less attractive to the newer generations. However, unlike the manufacturing, or the hard copies of DVD rentals, we cannot outsourcetruck drivers. We must raise employment to a level that allows us to keep our overnight shipping, fast track, Amazon Prime type of world. The efficiency of that type of world runs on the hard work of truckers who work for companies like Swift Transportation, Schneider National, USA Truck and more. In a joint projection done by Business Insider and Trucking.org, the demand of truck drivers will keep rising. It will reach just under 2 million units in 2022, while the amount of drivers stays at about 1.75 million units. While the deficit, right now is hovering around 50,000 workers, this will only increase without a move towards filling these jobs. Politicians may promise to bring us back to the old times before outsourcing or automation. This is simply not possible. The world has progressed and cannot go backwards. We have gone through great change in industry. These new industries change the country for the better. By embracing the change through free trade, we may keep the American economy running like a well-oiled machine. This statement could not be more accurate. The politics of a nation are largely determined by its social attitude. The culture of a nation is important to its politics. If the population is more devoted to patriotism, Christian morality, and family values, more Republicans and conservatives will get elected. If a nation cares more about progressivism, secularism, and social acceptance there will be a voter trend towards the Democrats and other leftists. As America gets less Christian and socially conservative it almost seems as though this means the Republicans are doomed. This might seem true at first glance, but it’s not. Once upon a time, the Republicans were the party of strict religious laws and seen as the party of radical traditionalism. If this were still the case then why would any young person even consider supporting them? Because the attitude has changed. The far left has used censorship, political correctness, and violence to get their point across. The left always thought Hollywood gave them a monopoly on cool, but now that monopoly is crashing down as conservatism emerges into the new counterculture. From this struggle came a new culture war. The MAGA hats and the Bernie bros are going at it again. The politically incorrect and the thought police are fighting a new battle. This war is about just what will cause the left to lose, political correctness. Political correctness will be the death of the left. Unless more Bill Maher minded liberals come forward, the left is doomed to this fate. Unfortunately for the left, young Americans are starting to moving toward an anti-politically correct mindset. Like Ben Shapiro said, “the era of political correctness is over.” People are tired of having to watch their words so carefully not to offend anyone. Eventually, the chains of PC culture will be broken as people start to recognize that truth is more important than feelings. Leftists on college campuses are becoming intellectual thought police. That’s why organizations like YAL are proving to young people that conservatism really is about liberty and not the tribal warfare the radical left enjoys. As younger generations move in it is inevitable that leftist principles will collapse with political correctness. Who wants to be on the side of authoritarian beliefs and less speech? As Jordan Peterson pointed out in his interview with Channel 4 in the UK, the modern day far left is highly driven by the same ideological pathway of left-wing totalitarians like Mao Zedong. The philosophy of identity politics and extreme equity are now driving the American far left. We’ve seen this pattern before in the form of gulags and communism. All things considered, leftists do have momentum among millennials who were left for dead by the rising price of college tuitions. However, this will change soon. Millenials are having fewer children and Generation Z is predicted to be very right wing. Leftism will stop being fun. Just like Dave Rubin’s conversion to the right, the masses will recognize the left is no longer about free speech and thought instead they have a clear agenda that they will only pursue with violence.